Many of the biggest and most successful domain investors are behind the scenes. Those who actively participate know who they are. They don’t blog, don’t comment on the blogs, and generally conduct their business in private. But they have an understanding of the current market as anyone you could talk to. I am fortunate to get to talk to these guys almost every day so I thought I would have them share some things with our readers. I asked them all the same questions. Some chose to skip some questions as to not give away their secrets but I think you’ll find each person’s answer interesting and a good peek into what they see. And before you get to the questions, a little background on the fun question at the end. We had a soccer tournament at NamesCon this year and I brought Josh E aka Ike who writes for this blog. He played goalie despite the fact he had never played in his life and yet he played incredibly well. Nobody knew who he was when we started but they all knew who he was when we finished. Also, I didn’t include photos of the guys. You can Google them, and I was going to steal the pictures from Google or DnJournal anyway. Now on to the questions. is the guy at the Domain conferences with the funny accent. Andy is originally from England but makes his home in the England of the Southwest, Houston. He has been a domain investor since 2006 at runs his company through Booth.com. He has bought and sold tens of millions of dollars worth of short dot coms and the running joke is at some point he has touched or owned every good name that’s ever been sold. Not exactly true, but it feels like it some times. If the term mover and shaker had to be assigned to anyone, he would be most likely to have earned it. 1. Where do you see the domain market at the end of 2016? Do you see the domain market moving higher, staying the same, or just stabilizing. Why? I think we have many thrills and spills to come this year. It is difficult to predict exactly, but if history has taught us anything, it is that quality domains are still very much a hot commodity and will continue to go up in value. I emphasize the word quality because the crap will always be crap and will end up in the toilet. I think it’s safe to say that trend sectors (like short and numeric .com) will almost certainly be at a higher point come the end of the year. I think in general it is going to be another blockbuster year for the domain industry with plenty of new highs along the way. That is surely the most exciting area of the industry at the moment. From a personal standpoint, I’ve always been a firm believer in the value of short domains. This stems back to the mid 2000s. Back then, the Chinese were barely involved in the three letter .com space. There was still huge value, just from Western investors and companies. Chinese involvement has taken the value of short domains to the next level and we are now reaching a point where domain resellers are paying more than end users for a given domain. Even though this screams ‘bubble’, I still think the market has plenty of room for growth. I believe that with faltering world markets, domains will rise to greater heights. I don’t think poor stock market performance, for example, is holding back domain names. Investors are constantly looking for the next best thing, and domains are becoming more main mainstream by the day. I can see short domains increasing in value to a point that is convenient for the Asian market. They fit into tidy investment blocks that are instantly liquid, so more and more people will be encouraged to invest, particularly as Chinese look to diversify their wealth into international markets. I can realistically see two letter domains (without vowels and the letter V) approaching $2m a piece, three letter domains (CHIPs) going to around $100,000 each and four letter domains going up to around $5000 apiece. These are just guesses of course but I still expect these values to be realized at some point in 2016. I speak mainly of letters because I have more experience, but I see numerics performing on a parallel also, maybe even at a slightly accelerated rate. This is because they are scarcer. It seems that Chinese latch onto certain sectors of the market at once and pump up values to never before seen levels. I think four letters have massive further growth potential and that would be what I would single out as the single best investment of the year, if I could focus on one area. The advice I would give to Westerners holding 4 numbers would be to have some solidarity. The guys selling at the bottom end are preventing a significant spike in value. Once there isn’t many to be bought at floor price (let’s say $2000 today), the values will go back to where they were before ($3000+) as demand is still very much there. 3. How big of an impact do you think the Chinese New Year and do you plan any of your activities (buying or selling) around it. I had plenty of time to draft this interview up so I think that says it all. We had the same warning last year, but I don’t think the Chinese were as influential in the domain market then as they are now. This year us holders of short domains really felt the slowdown. I think now we have been given plenty of warning that January’s probably a good time to take that trip away (NamesCon doesn’t count) that you so desperately need. 4. Are you adjusting the portion of your portfolio that is impacted by the Chinese market as the year begins? Maybe adding or selling to take some profits. I am at full inventory, asset rich (3 letters). It would probably have been wiser to buy in January, as the prices were lower than I can remember on a lot of Chinese style domains. Even the Chinese themselves have been selling, which is a slight cause for concern. But that happens. It isn’t curtains just yet. 5. What was the best thing you had or added to your portfolio in the last year or two that became worth a lot of money that you really had no idea it would become so valuable? I picked up a lot of top quality three letter domains. The Chinese are obviously fond of simplicity. I was able to snag GSS.com and XXP.com from Western companies which match the AAB, ABB pattern. These are like Chinese premium 3L on steroids. Generics are much harder to value and liquidate. That even goes for brandables (I have Strawberry.com for example) to a degree. On the flipside, end user sales are unpredictable, but when they come, they’re usually sufficient to cover your bills (many bills) for a while. 7. If a new investor comes in right now and has $5K. Were would you tell them to put that money to get the best Return on Investment 12 months from now. I would invest in special 4 letter domains with a pattern (AABB, ABAB, ABBB, AAAB) or raise a little more cash (go in with a couple of friends) to buy a 4 number .com. 8. What about you or your company gives you an edge in domain investing vs others in the industry? I don’t advertise it much, but I do sometimes work with clients to pick up premium domain names (usually companies). I worked a deal with my brother last year where we brokered the sale of NN.com to a Chinese investor. You don’t need to speak Mandarin to bridge the gap. 9. Have you feelings changed about gTLDs in the last year? If so, in what ways? 10. If I told you that you HAD to invest in 2 new TLDs that aren’t XYZ or .Top, which two would you choose. 11. Do you consider dot cc an investment quality TLD yet? Yes, they sell for big numbers to the Chinese. Follow the money. I’d like to see my friend Nat Cohen get a huge pay day on his amazing LL/LLL portfolio. Then he would become a seriously good tennis player. However, I think he loves his domains way too much to sell out completely! 13. Are you watching the Indian market, if so how would you buy exposure to that market? I’m happy to see the Indian market emerging. I have several Indian friends in the industry and have been impressed by the determination they’ve shown to succeed. I still think the Indians love .com so would not deviate from an already proven concept. 14. What will be your big focus in 2016 and why? 15. What kind is your every day driving car? I am one of those people whose car is disproportionate to everything else in their life. I’m a big petrol head and love my M4… My friend visited recently and made a true statement: living in Houston, you might as well have a nice car as most of your life is spent in it. Hard to argue. 16. If I had you shoot 10 free throws (after a little warm up) how many would you make? For you football/soccer guys, how many penalty shots would you make on Josh out of 10? Josh was definitely a difference maker in our football (soccer… if you must) get-together as the opposition goalkeeper. But if you’re asking me to take penalties… With the pressure on? I think Josh would get a bit flustered. I’m banging in 8/10. entered the domain industry after getting an email out of the blue from someone interested in buying a name he had registered to make a website with friends. Thinking he still might use the name and there was probably room for negotiation, he turned down the initial offer. The buyer disappeared, and Steven continued to renew the name for a decade before eventually selling it for a whopping $7.00. Fortunately, he started acquiring better names and even began developing some useful websites like Textbooks.org. My favorite story of Steven is an email from him this past July asking if I wanted to buy over a 1000 LLLL.coms he owned that were preferred Chinese letters. (the term CHiP) hadn’t been coined yet. Let’s just say I passed and the price was $500 or under. And yes he sold them, did quite well but is not a millionaire, at least not because of them. Where do you see the domain market at the end of 2016? Do you see the domain market moving higher, staying the same, or just stabilizing. Why? I see the overall domain market moving higher in 2016 as more new funds flow into the industry and liquidity increases. I think the Chinese inspired commodity-style pricing of short .com’s will continue throughout the year. Auction prices will keep getting closer and closer to end user prices. I think many marginal longer domains in alternative extensions and new gTLDs will be dropping when due for renewal. Are you adjusting the portion of your portfolio that is impacted by the Chinese market as the year begins? Maybe adding or selling to take some profits. I continue to buy short .com’s when the right opportunities arise. I’m more interested in short words and letter .com’s than numerics. If a new investor comes in right now and has $5K. Were would you tell them to put that money to get the best Return on Investment 12 months from now. To new investors with $5K to spend, I’d recommend digging deep in research to track down the owner of a great .com that is not in active use. It’s a lot of work, but it’s still possible to find great names overlooked by others. 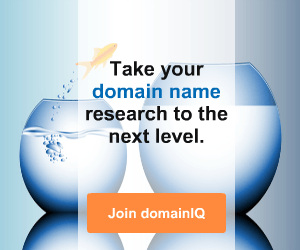 Have your feelings changed about gTLDs in the last year? If so, in what ways? 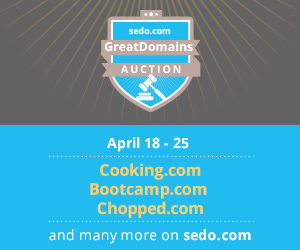 I continue to think most new gTLDs will be profitable operations for registries. 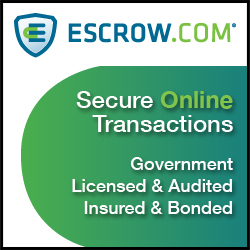 However, I don’t see how individuals can make a worthwhile, consistent profit with them due to early access programs, premium pricing, high renewal expenses, registry reserved names, and low end user demand. What would be your guess for the next big portfolio to be purchased by a large company? My first guess would be the portfolio of DomainMarket.com. What kind is your every day driving car? I can tell you it’s not a Nissan. If I had you shoot 10 free throws (after a little warm up) how many would you make? For you football/soccer guys, how many penalty shots would you make on Josh out of 10? is the younger brother of Andy. He recently started buying, selling, and brokering domains in the footsteps of his brother. And he wasted no time getting into the waters. Just last year he did millions of dollars in sales and is currently brokering HH.com and NN.com. Not exactly newbie names. 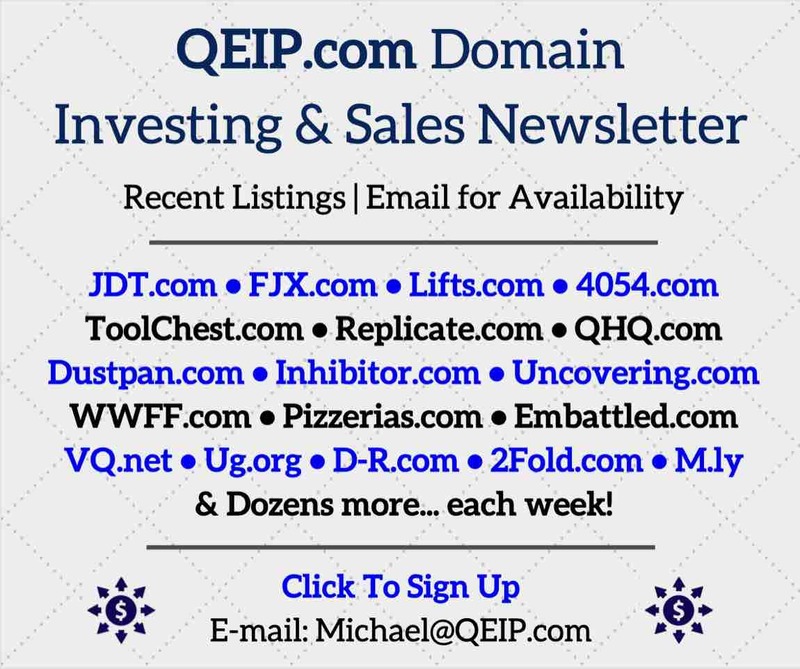 Where do you see the domain market at the end of 2016? Do you see the domain market moving higher, staying the same, or just stabilizing. Why? In my opinion I think the market is going to reach levels not seen before. I think in the last 6 months the industry has had lots of fresh blood and money pumped in. 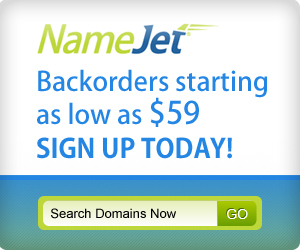 More people are now aware of the great benefits investing in domain names has. The Chinese in particular simply because of the problems in the stock markets and lack of opportunity to make the sort of returns domain names can give. Well from some research I have done recently China now owns 61 out of 100 NN.coms and 20% of the LL.com market which doesn’t include end users so as Drew at MediaOptions mentioned more likely to be 50%+. I think the Chinese mentality is to take as many of these ‘premiums’ out of Western hands as possible. I believe that anything more than 5 numbers is just pointless even for China. I think 4N.coms are going to increase the most in regards to %. It is now standard on a Chinese LL.com that the price is over $1m USD and I think LL will jump to around $1.5m standard at least by the end of this year potentially more. It is going to be a crazy year. How big of an impact do you think the Chinese New Year and do you plan any of your activities (buying or selling) around it. Chinese New Year is always a bad time for selling but perfect for buying if you have the cash as the Chinese are not buying so it is a great time to find some good deals as people panic. The Chinese mentality is to go into the New Year with as much cash as possible in their accounts which is why some are even selling right now which is very odd. I have come across several NN.com and LL.com being sold by Chinese right now at VERY reasonable prices considering. If I had the cash I would definitely be buying right now (But I don’t). What was the best thing you had or added to your portfolio in the last year or two that became worth a lot of money that you really had no idea it would become so valuable? Nothing in particular other than LLLL.coms. They are trading at end user prices pretty much. What domains were the exact opposite? Things you bought but just didn’t find a market or move like you thought. Tough one. I personally would put it into a premium LLLL.com nice AABB.com, ABBA.com, AAAB.com or buy 2 Asian/Western LLLL.coms. I think people going crazy on 6N.com, 7N.com and other extensions like LLLL.net etc is just a waste of cash. What about you or your company gives you an edge in domain investing vs others in the industry? Well in all honesty I have only been committed to domains full time for the last 6 months. I have managed to do around $4m USD in sales brokering names but I believe that is just working smart and not being too greedy. If you can work with someone you trust and make $x or work on your own and make $0. I am also based in Asia (Philippines) so I work on China time and all my buyers are Asia based so that helps. Have you feelings changed about gTLDs in the last year? If so, in what ways? I would never invest in them personally. Renewal fees are ridiculous and all they will do is increase the value of .com so stick to .com. If I told you that you HAD to invest in 2 new TLDs that aren’t XYZ or .Top, which two would you choose. Wow this is a tough one for me. I guess .cc has some potential and .online. Do you consider dot cc an investment quality TLD yet? I do. I don’t personally have any but I think .cc is great for China simply because of the ‘Chinese Company’ acronym. I think this TLD will pick up some great sales over the next year or 2. Are you watching the Indian market, if so how would you buy exposure to that market? I think the Indian market will pick up but not anywhere near the levels of the Chinese market. It will take a good few years before India is a top dog in domains. Investing in .in is not a bad investment in my opinion. What will be your big focus in 2016 and why? My focus is actually picking up Western LLL.coms and sitting on them long term. I don’t have one I live in Manila and it would take me hours to get a mile! hahaha, against Josh probably none! I am surprised a premiership team has not been in contact with him yet after that performance! Great post, this is my favorite kind of domain reading, seeing what others are doing and predicting for the domain market. Steven Kennedy missed a few questions! Very good… I’m looking forward to reading part 2.
guess I hit reply in wrong spot. sowwy. Hey Ken, didnt see at Namescon. Still got FootDoctor.com if ya know a podiatrist wants to corner the market. Stellar insights, Shane. Thank you! Thanks for putting this together Shane and thank you to Andy, James and Steven for taking the time to put thought into their answers. A quick Q&A is rarely that! That was a great interview !!! Nice post Shane. Listening what this guys have to say is very educational, you have to pay attention to the fullest because there is gold reading between the lines. Thanks Shane, keep ’em coming. Excellent Shane. Look forward to Part 2. Thank you. Thanks for the good interviews Shane! Very true. I believe .in does not have a future. It will follow the path of .us. In both cases/countries the .com is preferred over the respective country code tld. That was an enjoyable read. Thanks Shane, and thanks to the contributors. “Very true. I believe .in does not have a future. It will follow the path of .us. I think this is very wrong. Friends in India are showing pictures and reporting that the .in domains showing up everywhere. Why wouldn’t they want .in to market to their own country. If the company is aiming to sell globally then sure .com other than that .in makes more sense. Some safe predictions, seems everyone is bullish. I think it’s good measure to take a bit of caution with pattern domaining. Here is to all investors doing well in 2016! Thanks for putting this interview together and sharing it Shane! This is the type of reading I find extremely valuable in this industry! It’s also refreshing to know that most feel this year will be another solid year for domain investors! Looking forward to part 2! This is a great interview and very motivational. It gives us an insight on what a few of the top domain investors feel about the current and future market conditions. Nice work Shane! Eager to read Part 2.